The following eleven men are listed on a note. 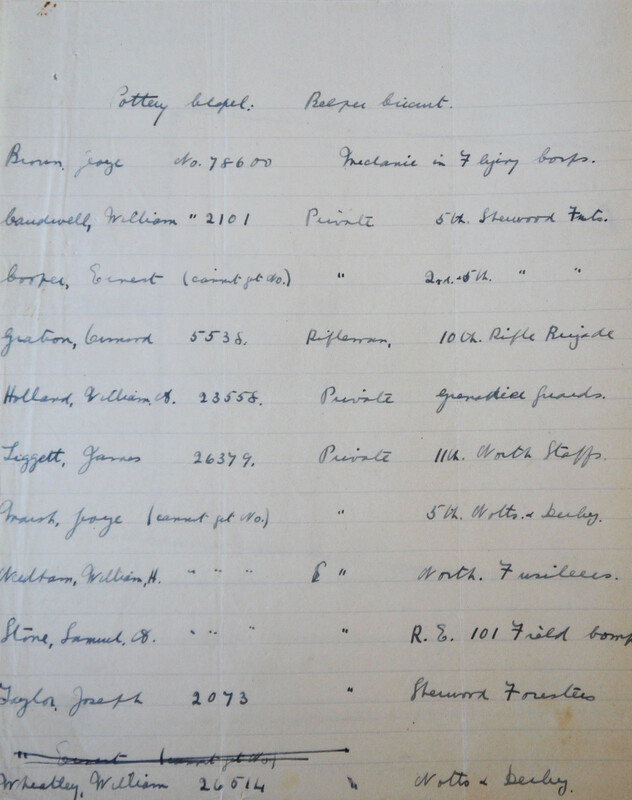 Pte James Liggett 26379 11th Bn. North Staffordshire Regt. 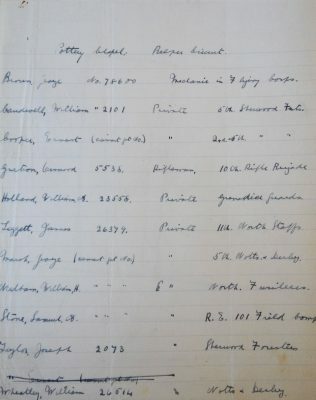 William H. Needham is not listed by the Commonwealth War Graves Commission as a casualty. He was born in Belper in April 1890, and there is evidence that he married, had at least three children, and lived until 1970.